Below are three images of the plaques on display outside at the monument. The images may be enlarged by clicking on them. 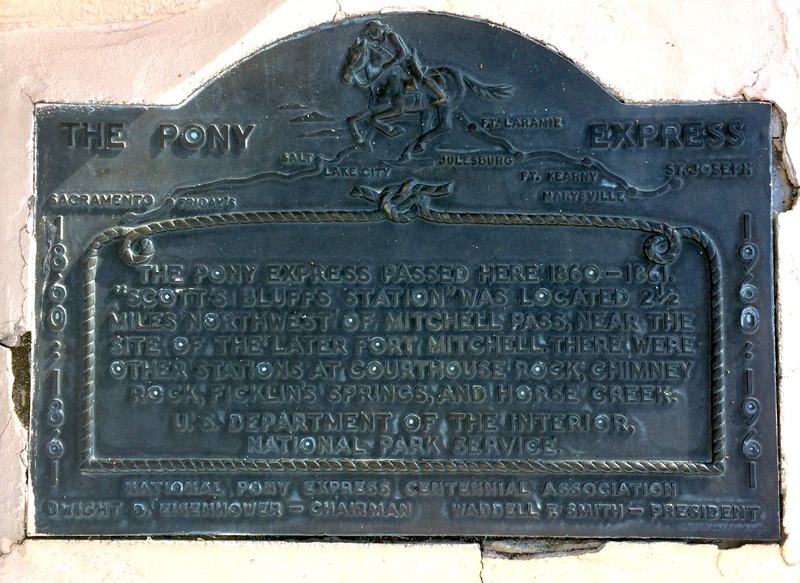 All three of these images commemorate the pony express service which came through Scotts Bluff. The very small print in the upper right of the image says ” 120 celebrated riders rode 650,000 miles with only one rider to be killed by Indians, only one schedule not completed and one mail pouch lost”. The pony express route was from St. Joseph, Missouri to Sacramento, California.